How time flies! 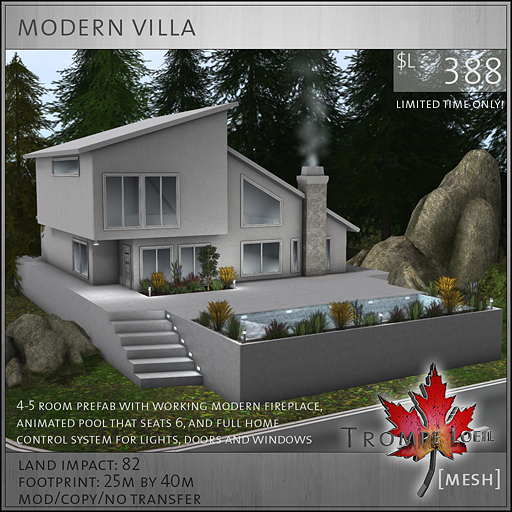 The best sale on the grid, Collabor88, turns 2 years old – and to celebrate, not only did Trompe Loeil provide a huge new build to party in with all our C88 friends, we also have our new Modern Villa – featuring our new *home control system – on offer for the super low price of $L388! 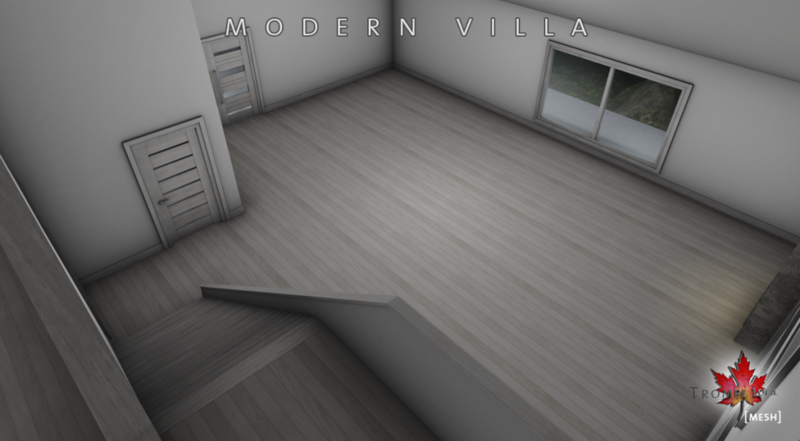 This is our biggest C88 prefab yet – the entry hallway leads to a huge combined kitchen/living room area and two first floor side rooms, perfect for an extra bedroom or bath. The staircase leads to an ample loft room that’s both spacious and private enough to function as a master bedroom – including its own staircase up to a third floor nook, great as a small library or reading room! 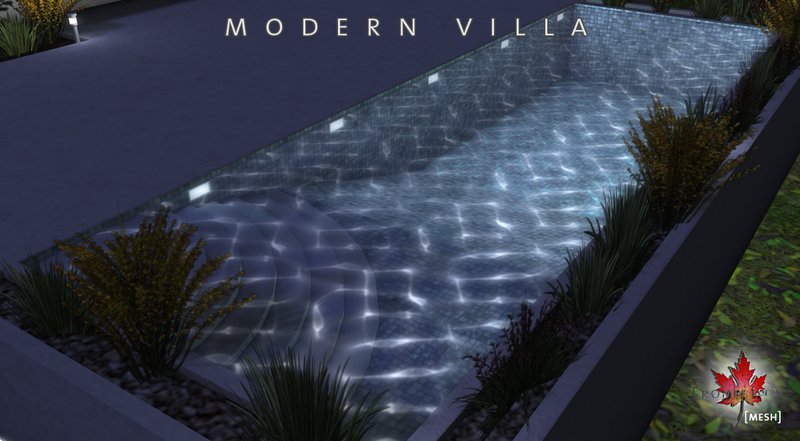 As far as features go, the Modern Villa has tons. 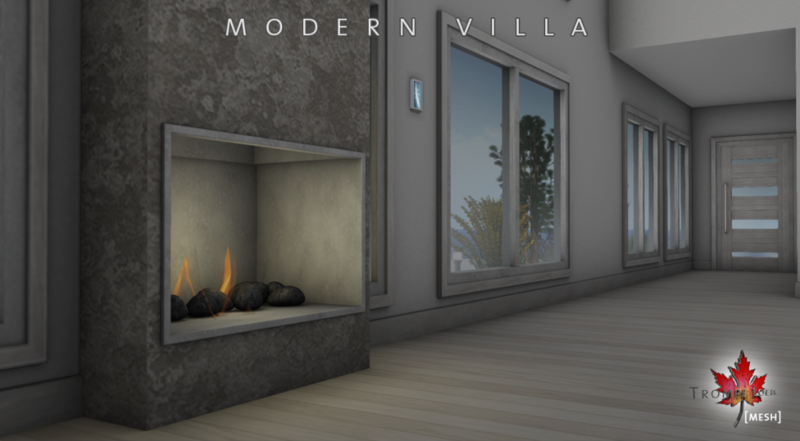 Touch on/off modern fireplace stones with flame effect, light, and smoke – plus the huge patio pool, with 8 animations, that seats 6. Trees and foliage fill out the perimeter and garden box area in front of the house. 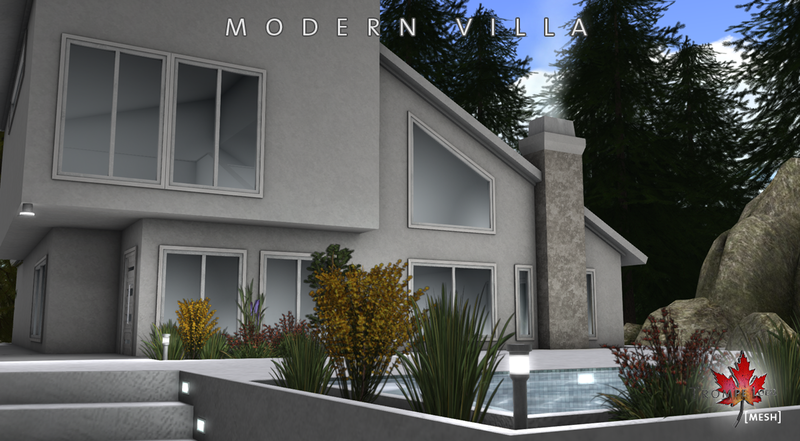 And, the Modern Villa is the debut model featuring our new, custom *home control scripting system – built from the ground up for Trompe Loeil prefabs, based on years of customer and designer feedback, designed to make your living experience smooth and effortless. Check out our instruction and FAQ page for the new *home control system here! As always, you can check out the walkthrough display model directly by teleporting to the display area at Collabor88, but don’t forget to visit the over 70 designers and creators helping us celebrate two wonderful years!